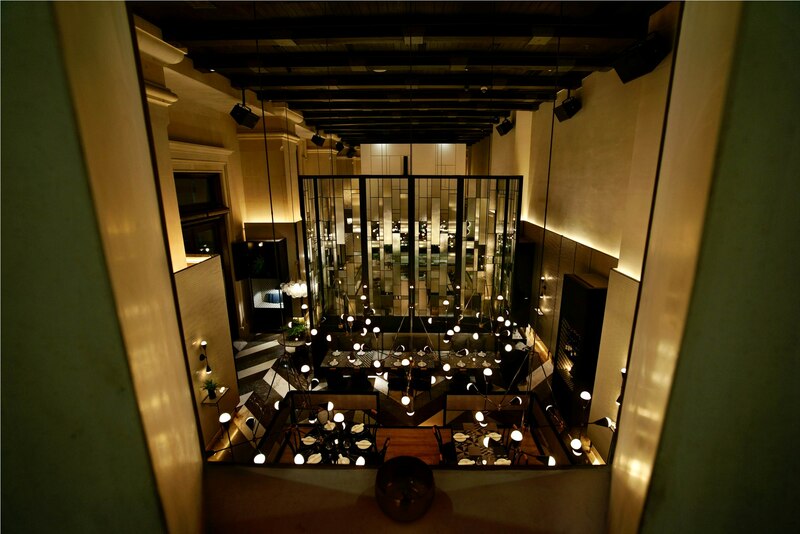 Serving contemporary Italian fare, GIA marks the next move to compete among Jakarta’s high-end dining scene. A new venture of Ismaya Group, GIA becomes a wonderful addition to the already established peers. The man behind the kitchen, the young Chef Tommaso Gonfiantini is entrusted to present the Jakartans with a whip of his creativity about contemporary Italian cuisine. Chef Tommaso himself is no stranger to Jakarta’s dining scene as he was previously working in several restaurants in Jakarta. In-between these respectable ventures, the chef also experienced his spell abroad with restaurants in Rome, Sciacca, Neuchatel and New York, respectively. The menu at GIA focuses on fresh, seasonable ingredients—with most ingredients imported directly from Italy. Additionally, his portfolio also includes working with such renowned chefs as the Michelin-starred Fulvio Pierangelini and Filippo La Mantia. It is arguably that this what made Chef Tommaso becomes a formidable figure to lead probably one of Ismaya’s most ambitious projects to date. As for the menu, some patrons may see the creations of Chef Tommaso as a blend of traditional Italian fare with a touch of modern twist. Yet, many will agree that most of the items on the menu are just as palatable as the delicacies of contemporary Italian cuisine. Spoil your belly with the tempting stocky Bistecca. From the vast sea to your plate, Totano serves you the freshness of the ocean to your belly. Squid tentacles, let the spongy and chewy texture of Polipo rules your tongue. GIA isn’t just about the taste. but also the looks. Agnolotti is easy on the eyes and ready to surprise. Regardless of patrons’ different views, the menu at GIA focuses on fresh, seasonable ingredients—with most ingredients imported directly from Italy. To start with, the chef recommends the refreshing orzo. It basically comprises of juicy pearl barley and aubergine. Next, indulge yourself with some of GIA’s signatures such as the spicy linguine aglio olio with bottarga as well as the Bistecca, the perfectly char-grilled 250gr sirloin with veal jus, gorgonzola polenta and tatsoi. Alternatively, GIA also presents the enchanting baked barramundi with octopus, mussels, olives, and tomatoes, served inside a cartoccio. For the dessert, Chef Tommaso shares his grandmother’s traditional recipe of tiramisu and also GIA’s twist of cannoli siciliani by using ricotta cream, popcorns, and hazelnut gelato. Located right in the best spot reserved for restaurant at Sampoerna Strategic Square, GIA successfully intertwines Gio Ponti’s last century architectural style with seductive bright white, black Italian marble and dark wooden ceiling. Australia’s leading interior designer, Hecker & Guthrie, was the responsible party for all the beauty you witness from the inside of GIA. The lounge itself boasts a stylish and elegant meeting venue, which caters a perfect atmosphere to accompany your drinks. To add the comfort, the whole interior gives away the relaxing ambiance for guests to end their long and tiring day here.